Helicopters have been in the news over the last week. So we at Dodgy Perth thought we’d try and find out when the first copter flight in WA took place. But the story was boring. 1935 if you care. Which you don’t. 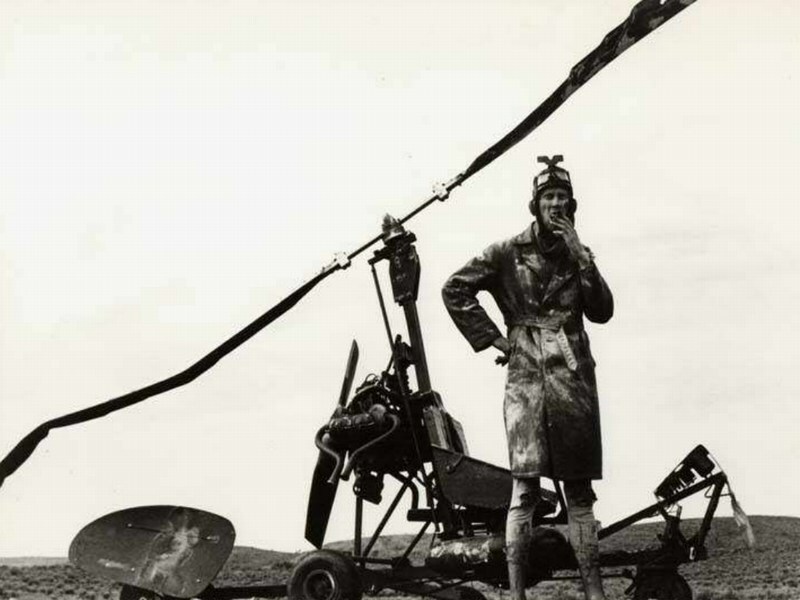 Instead, we’ll celebrate the eccentricity of William ‘Bill’ Adolphus Heinz, a Carnamah garage owner, who in 1948 claimed he was going to design and built Australia’s first helicopter in his own backyard. There were, predictably, jokes about whether he’d make 57 varieties of copter. But we at Dodgy Perth are above such cheap shots. Powered by a 1925 Douglas motorcycle engine, which Bill modified himself, the whole thing was constructed to a completely original design. Costing just £400 to build, this would be cheaper than five minutes of Bronywn Bishop’s jolly to a fundraiser. It was also going to weigh less than 120kg, around a fifth of a light aircraft like the famous Tiger Moth. According to media reports, officials from the Department of Air were interested in the project. But can you always trust your local mechanic? Well, in at least one case, Bill doesn’t seem to be very different from your average repair shop now. By which we mean making “considerable and unwarranted overcharges” on spare parts. And that’s according to a Supreme Court judge. Ouch. No evidence seems to exist today of Bill’s wonderful invention, and we can find no proof it ever got off the ground. But if you know different, get in touch so a Western Australian aviation milestone can be given due recognition. There are not many inviolable rules when erecting a building, but there are some. Dodgy Perth now offers you this planning tip: make sure your building is in line with the street or it will look like you don’t know what you’re doing. In 1932 the good citizens of this small Mid-West town were all excited about the new Post Office being raised by the Public Works Department. However when the foundations were put down it was noticed that the alignment was completely wrong, and it did not fit with all the other buildings on McPherson Street. The Government was asked to fix this problem before the building itself went up. At first, the response was that the local Road Board had asked for it to be built like that. Which wasn’t true. Then the Government said that it was at the request of the Citizens’ Association. Which wasn’t true either. In the end, the Government simply told Carnamah that if they got any more complaints they wouldn’t build a Post Office at all. So shut the hell up country people. 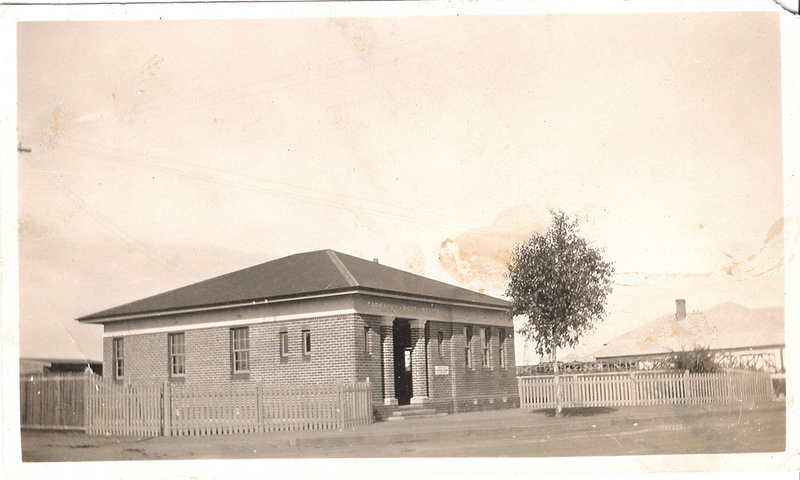 The Post Office was built and opened in June 1932. With the wrong alignment. And remains just like that to this day. So when you’re next in Carnamah, raise a glass to the Postmaster General’s Department and their unorthodox approach to making friends in the regions.